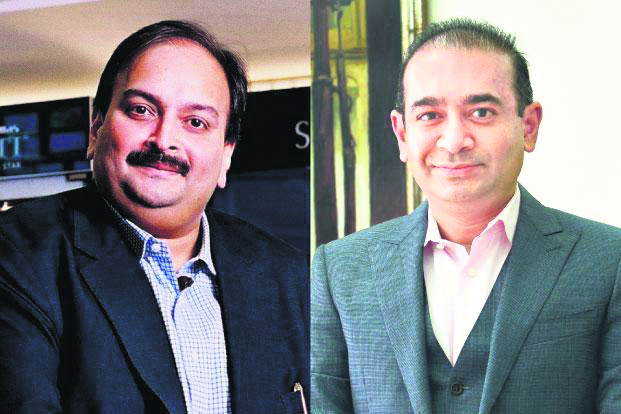 The Enforcement Directorate (ED) has moved a special court in Mumbai seeking to declare diamond traders Nirav Modi and Mehul Choksi as 'fugitive economic offenders' and to confiscate their assets worth £350 million in the USD 2 billion PNB fraud case, officials said. They said two separate applications, under the recently promulgated Fugitive Economic Offenders Ordinance, were filed against the duo before the court that hears matters under the Prevention of Money Laundering Act (PMLA). The agency had early this month moved a similar application against businessman Vijay Mallya in the £900 million alleged bank loan fraud case and the court recently issued summons to him for August 27 under the new ordinance. The fresh application seeks to immediately confiscate assets worth about £350 million of Nirav Modi and Choksi and their companies. The agency seeks to confiscate assets, both movable and immovable, including those located in the United Kingdom and the UAE. The move has been made on the basis of the two PMLA charge sheets filed by the agency against the diamond jewellers on charges of alleged money laundering. "Investigations have revealed that Nirav Modi and Mehul Choksi have committed the offence of cheating Punjab National Bank (PNB) in connivance with certain bank officials by fraudulently getting the LOUs/FLCs issued without following prescribed procedure and caused a huge loss to the bank. "They have further siphoned off the proceeds of crime so generated through layering through multiple dummy, related, connected entities in India and abroad," the agency said in its application. The scam, which reportedly began in 2011, was detected in January this year, after which PNB officials reported it to the probe agencies. Two criminal complaints were filed by the ED in these instances after taking cognisance of CBI FIRs. Non-bailable warrants have already been issued against the two while an Interpol 'red corner' arrest warrant has been issued against Modi on the request of the ED.